it's an XJ list, so keep that in mind. 3.You can convert the closed system to open without replacing your radiator by using the fill cap from a 4.7 durango or dakota, cutting it into your upper hose, and replace your bottle with an MJ overflow tank or any that fit. Then cap off or eliminate the T'ed lines in the heater core. 2.’97+ mirrors are direct bolt in to older XJ's and allow you to fold them in on tight trails. 2.XJ overhead console = most commonly found in '00-01 or higher trim level, provides space for switches etc. Tons of great information here! I remember WAY back finding an ancient thread with most of this and then putting together a laundry list for salvage yards. 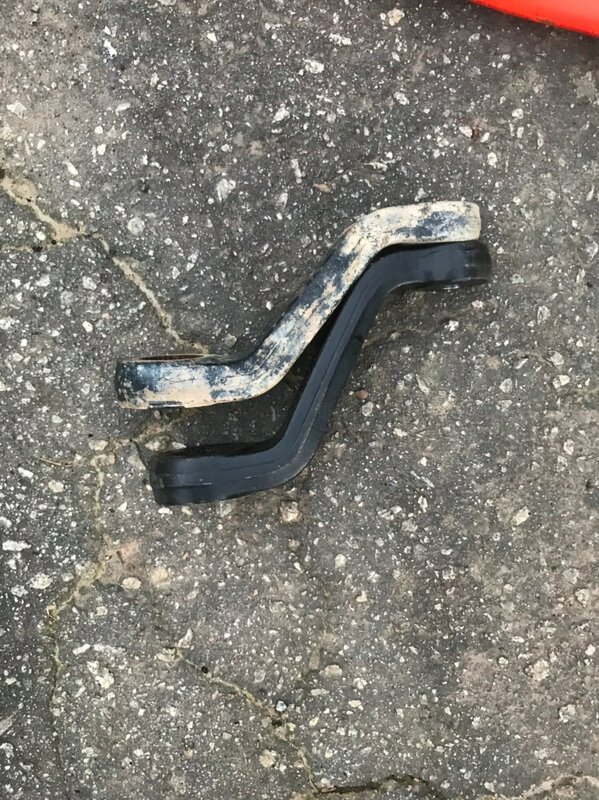 PSA: Don’t use F150 coils in your XJs/MJs, kids. They ride and flex like garbage. That is a very nice list for sure. A few things missing, such as Liberty C8.25, I'm guessing due to the year it was written. Do you happen to know what height drops can be achieved with switching the MJ main to an XJ pack? The yards around here want too much for a set of springs for me to just toy around with. that's a tough question to answer since it would vary wildly depending on spring sag. MJs are spring-under and so the leafs have plenty of arch. XJs are spring-over and so their leafs are more or less flat. tired XJ examples can actually be inverted a bit. If I remember right, MJ leafs can give about 3" of lift to an XJ, so I guess the reverse would drop the MJ by the same. 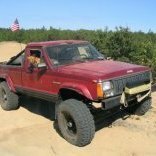 The brake booster upgrade, 95-96 XJ and 95 up ZJ are very similar. Great list! I’d forgotten about many of these upgrades. Iowa junk yard are crazy expensive compared to the prices I see everyone taking about on here. I wish there was a pull a part around here. All of them near me want to pull the parts and charge a fortune. Yeah my old 98 XJ springs were inverted when I changed them out. Those actually fell apart after they were removed so they got junked. That's some good logic I suppose for the 3" going the other way. That's kind of what I was wondering, if there was other vehicles that would lower it that I could keep an eye out for. Yeah I only know of one junk yard that is a you pull around here and it's in Des Moines. I've never actually gone there but if you call, they only have a vague idea of what vehicles they have. If they do know they have the vehicle, they couldn't even tell you if it had an engine in it still and forget about them going to check for you. That's been my experience with them anyway. Most yards seem to crush regularly now too, so they don't hold much for inventory. Cheapest I can find an XJ leaf is $65. That means $130 for a set of rusty and sagged springs.. no thanks. as long as you retain your current mains, most anything can be used. you just need to look for flat leafs that are the same width (2.5"?). As long as they are in decent shape, I bet you can mix and match with your current set and get what you want. keep in mind that not all leafs have the same diameter center pin, so youmay need to drill them out to match (for example I know that explorers are slightly larger so I drilled out my 90's mains to match). As I hope everyone knows, XJ rear axles are NOT bolt-in swaps for an MJ. The spring percehes have to be relocated -- even if using them to change to spring-over, the center-to-center spacing is wrong. The first post says that the list is for XJs so keep that in mind. The 8.25 would be a direct swap for them. Oh very nice, how big is the difference in lower section draglink bolts too? I can definitely see the steeper angle form ZJ pitman arm. I assume that drop pitman has been combined with a drop trackbar bracket? That is kinda what I was wondering too or maybe draglink could maybe be installed on top of pitman to keep angles the same-ish?? 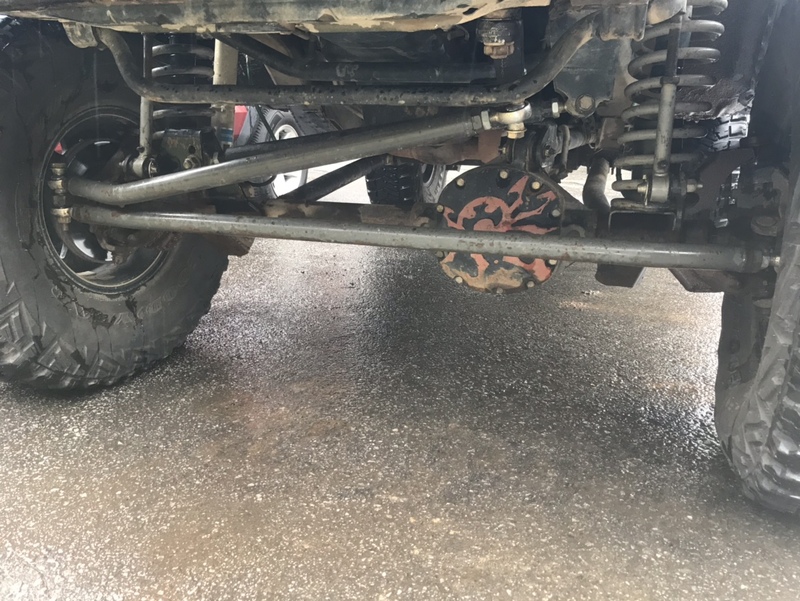 Running cav fab cross over steering under the pitman arm, with an RE frame side track bar bracket and an over the axle track bar bracket. Got a shot of the setup with the new to me pitman arm. Pretty minor on the list, but I had a '91 XJ that I kept through 2007 and 195k miles. After the 2nd or 3rd shift knob replacement (PVC between metal insert and outer cover disintegrates), I just filled the space between the cover and the insert with 5-minute epoxy. That generally fixed it with no further replacement needed.